Fine art photography print. 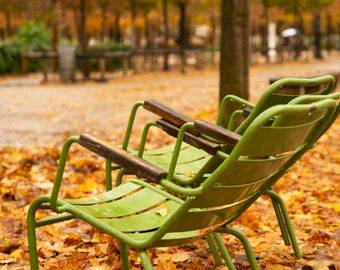 Autumn in Le Jardin Des Tuileries. Autumn Beauty in Paris. 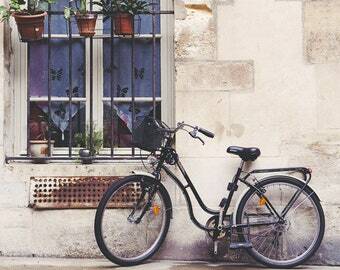 Bicycle Art, Paris Photography, Bike Print, Dorm Decor, Paris Art Print, Cobblestones, Paris Decor, White Wall Art "Le Velo"